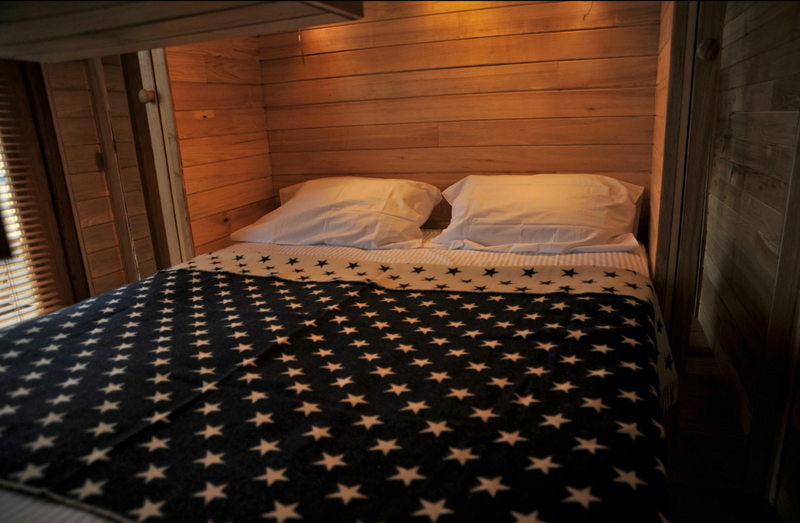 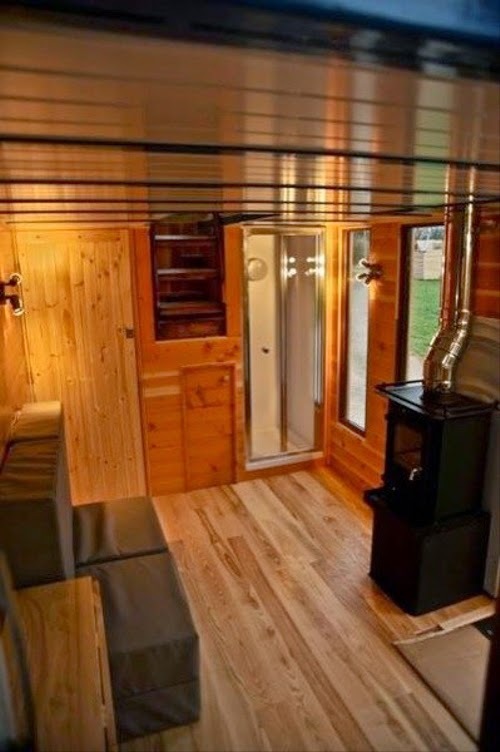 Tinywood Homes is the name of the company and a description of what they produce. 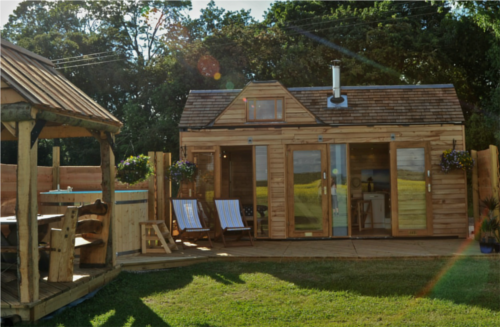 They build, rent and sell their 2 sized holiday habitations in the UK. 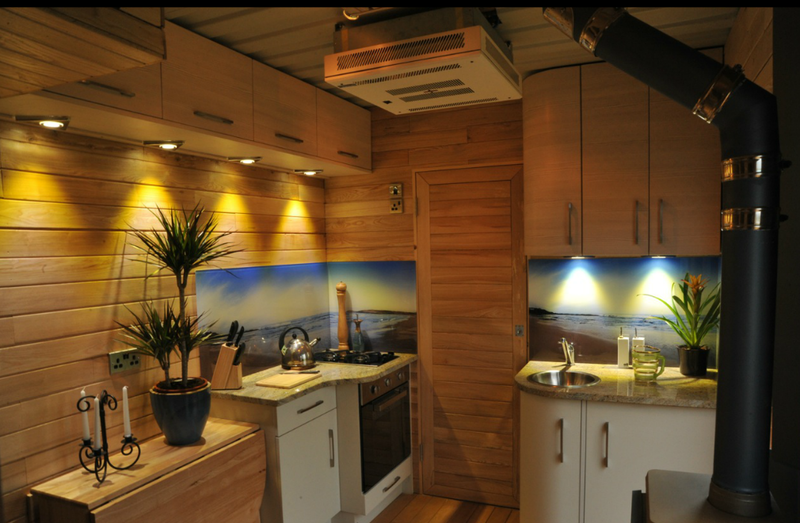 The Tinywood 1 is a converted 20 foot container whilst the Tinywood 2 is 16 feet metal and wood construction. 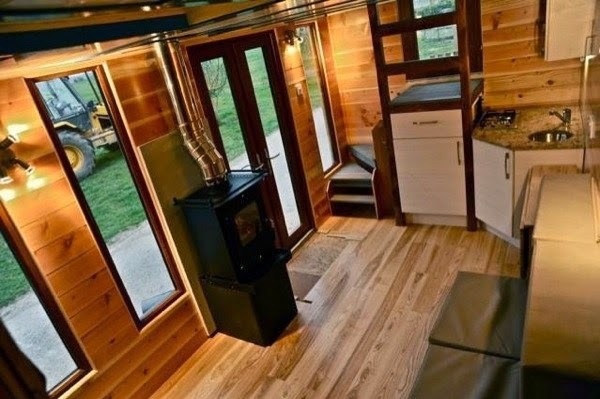 We have copied the list of specifications from the site: "Double bedroom, Kitchen, Bathroom with plumbed WC & Shower, combi Central Heating Boiler with radiators and on-demand hot water, full 240v electrics, Wood Burning Stove. 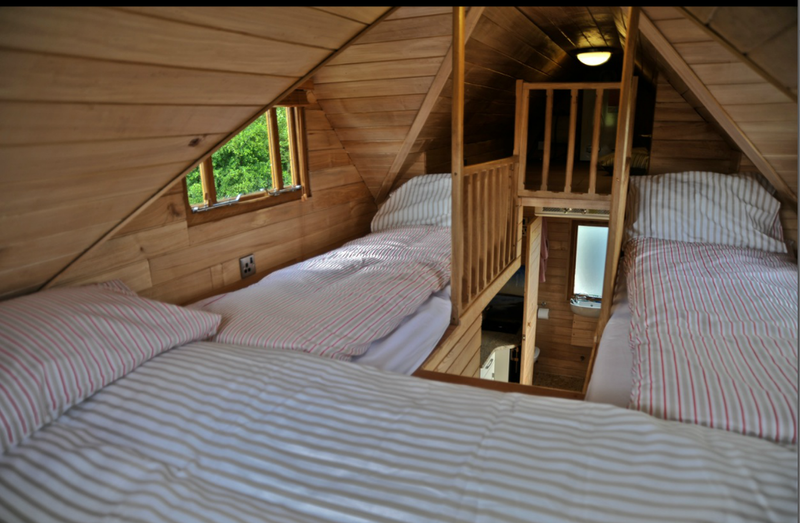 Lounge and upper floor with 2/3 Single Beds. 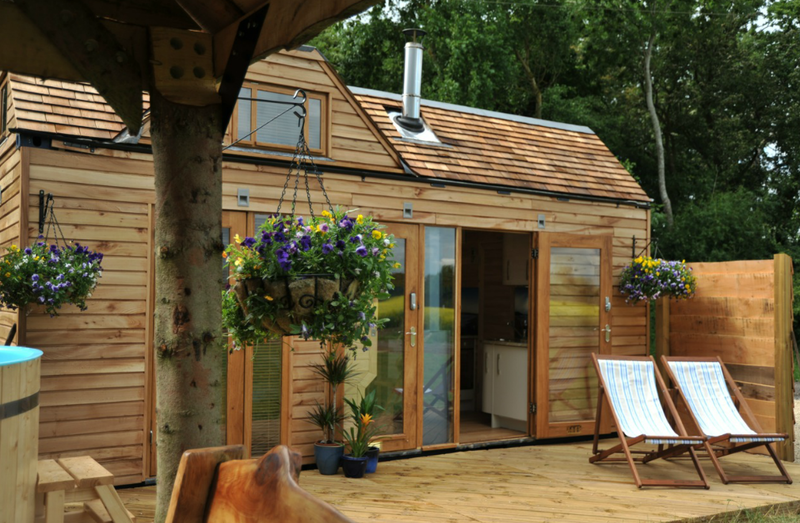 The Kitchen features a full-size Fridge, Gas Cooker with hob and 5 person Dining Table." 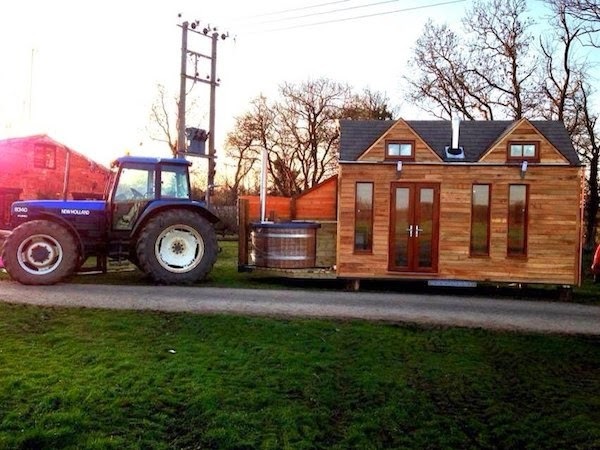 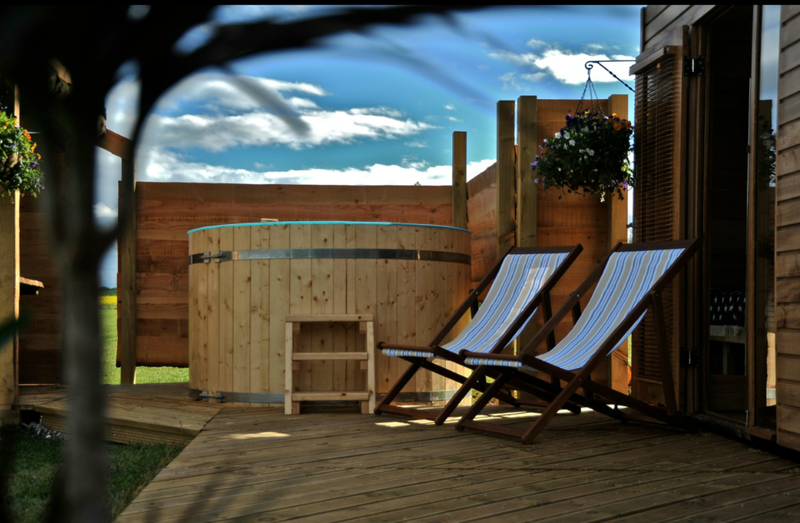 Don't forget the log-fired Hot-Tub. The 2 buildings have different layouts and we have incorporated both in the pictures below.